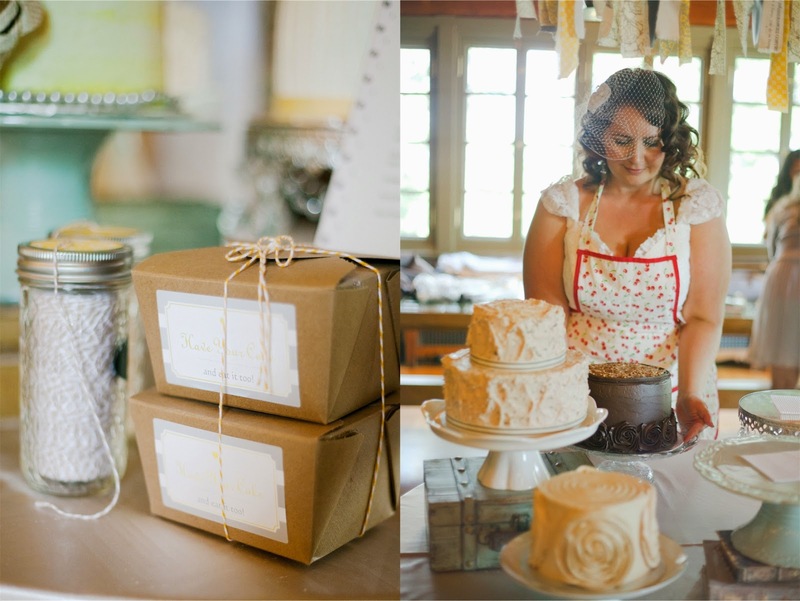 For this week's post in my Curly Girl Wedding series, I'm so excited to finally share with you not only the photos of our gorgeous cake display, but also the recipes for each of the cakes (five cakes! ), the fillings for the tartlets, and the shortbread cookies. When we first starting planning our wedding last year, I had no real intention, or really even more more than a passing thought to make the cakes myself. 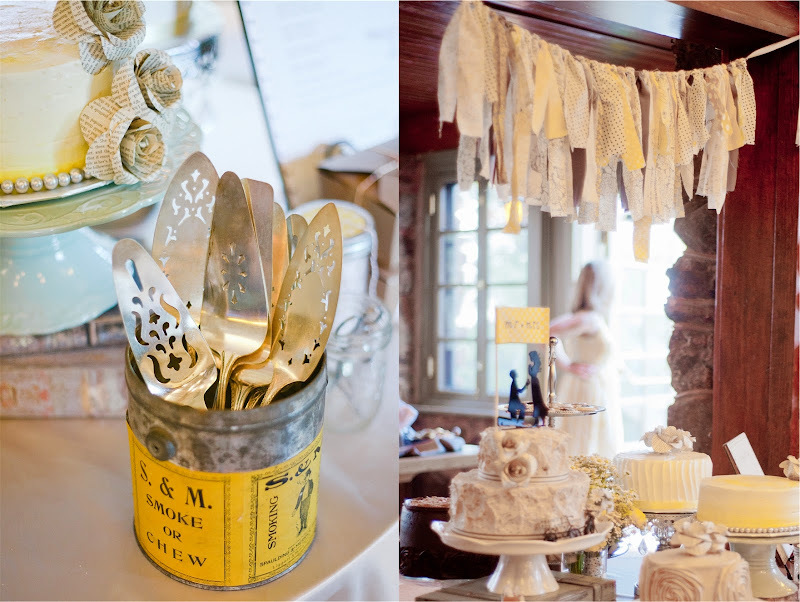 But as the wedding expenses began to accumulate, the idea of saving money on the cake became more attractive, and I started giving serious thought to the idea. 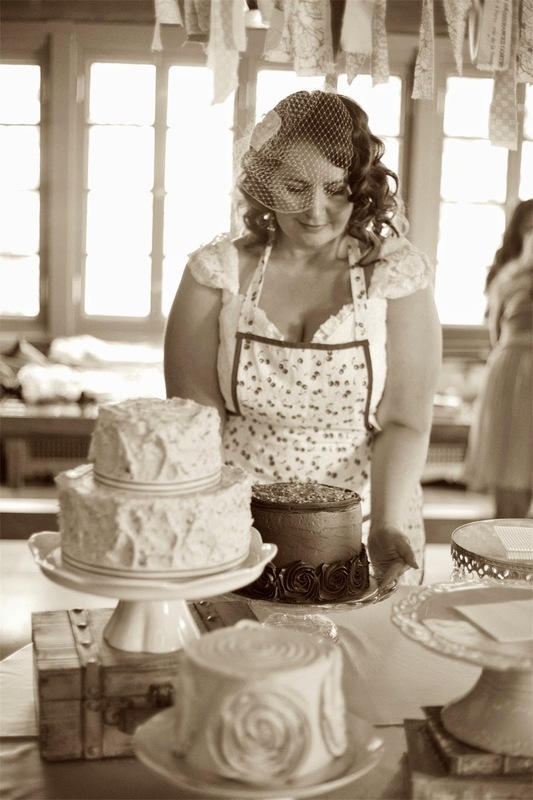 I knew exactly how I wanted the cakes to look and taste, and as I sketched designs and tested recipes, I convinced myself that I would be able to pull it off and still have time to relax with my friends and family those last couple of days before the wedding. And once I decided, there was no turning back. 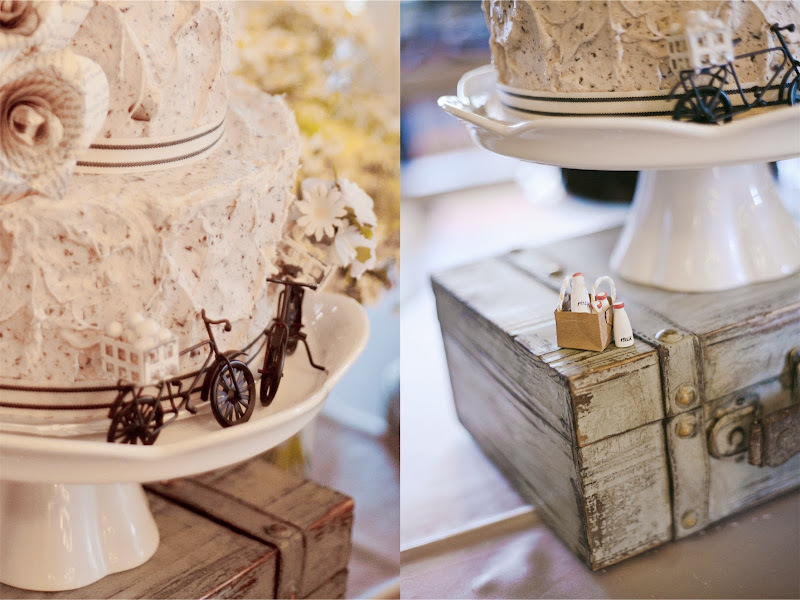 I had committed to doing this, and the cakes were going to be the best wedding cake anyone had ever tasted, I was sure. Although, I was a little nervous about how well all my plans would turn out in the end. Months ahead, I started gathering all the decorations. 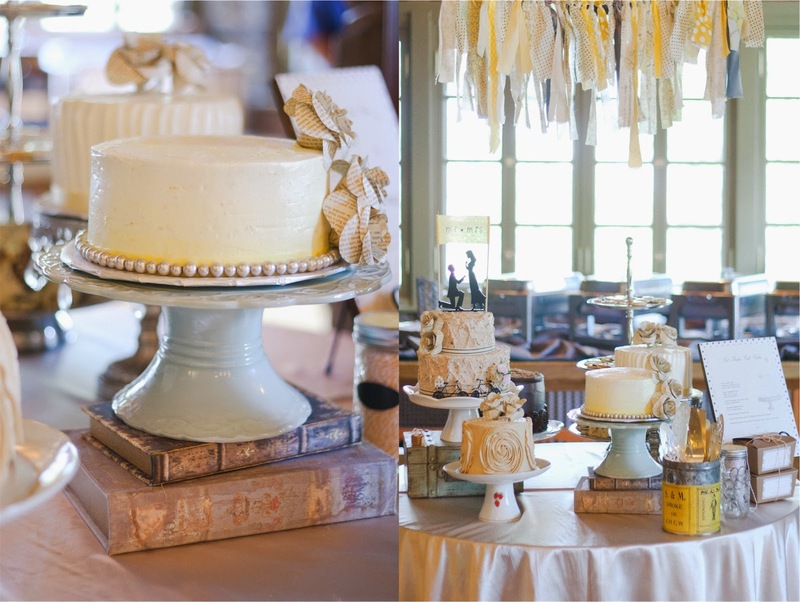 I used my own assorted collection of cake stands which you have seen photographed over and over on my blog, along with a few vintage boxes and books to add various heights to the display. I collected some pretty ribbon and a string of grey pearls. 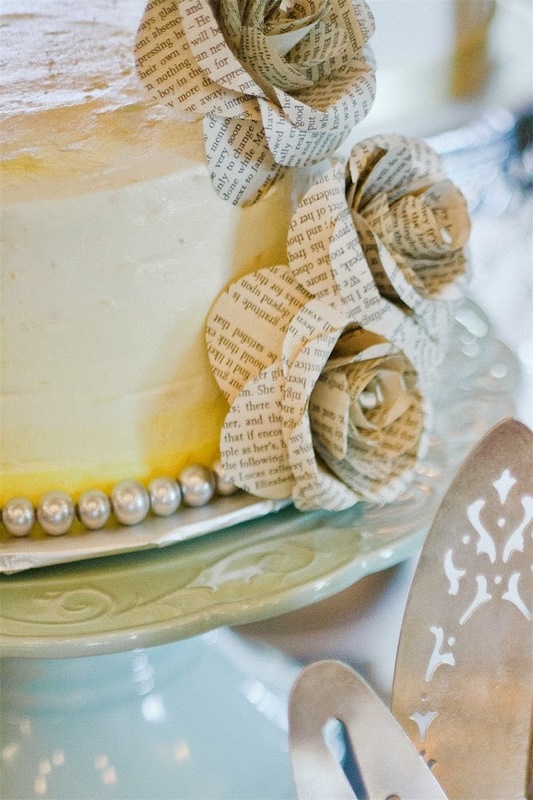 I followed a tutorial to make the paper flowers from the pages of an old copy of Pride and Prejudice. As much as it pained me to tear out the pages, I loved how the flowers looked, and knowing they contained such wonderful literary quotes made them even more special. I found the assorted cake servers and old tobacco tin at a local antique market. 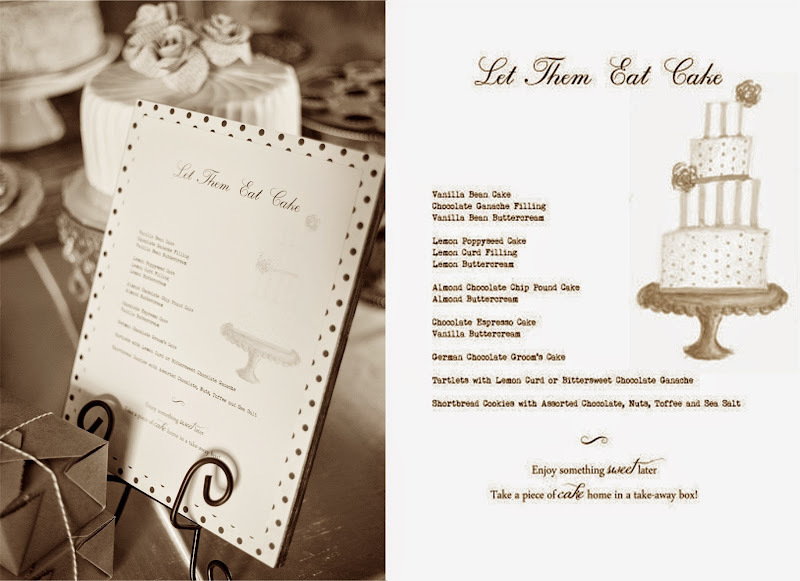 When I was sure of the cake menu (although if you read it carefully, you may find one or two things I ended up changing, such as cappuccino buttercream instead of vanilla on the chocolate espresso cake), I typed it up in an old typewriter font and scanned in a cake sketch I'd drawn, then printed it all onto card stock. 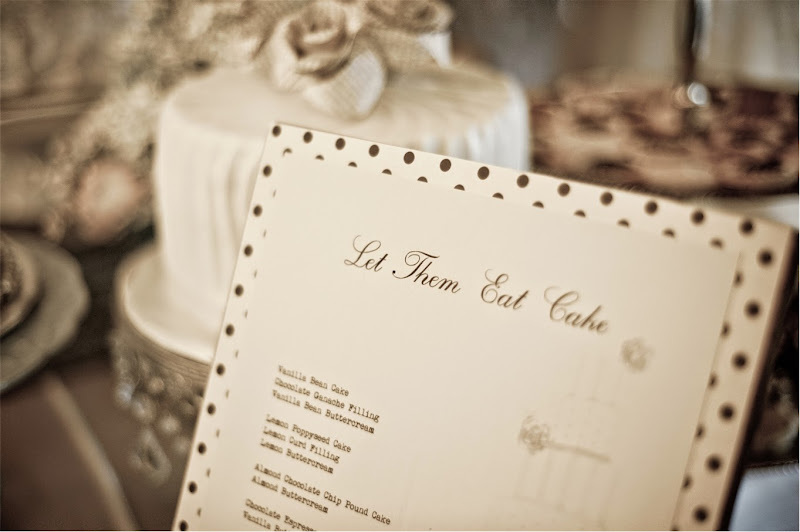 With pretty polka dot paper framing the menu, I glued it onto a piece of wood that Jamie cut and stained for me. 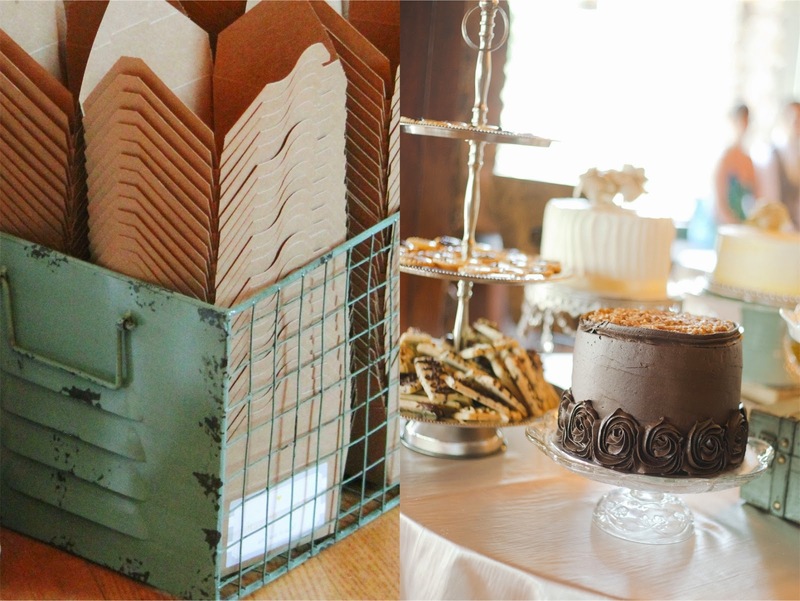 And because I was making so much cake, as well as cookies and tartlets, I wanted our wedding guests to be able to take some home with them at the end of the evening, so I found inexpensive take-home boxes to stack in a metal crate beside the cake table. The guests loved being able to take a piece of cake or a cookie home for later. And to hang in the doorway over the cakes, I made a simple fabric garland, by taking frayed strips of fabric leftover from sewing the napkins and tying them onto grey satin ribbon. It looked so lovely with the sunlight streaming through. I adore shortbread cookies, and the wonderful thing about them is how beautifully they freeze. 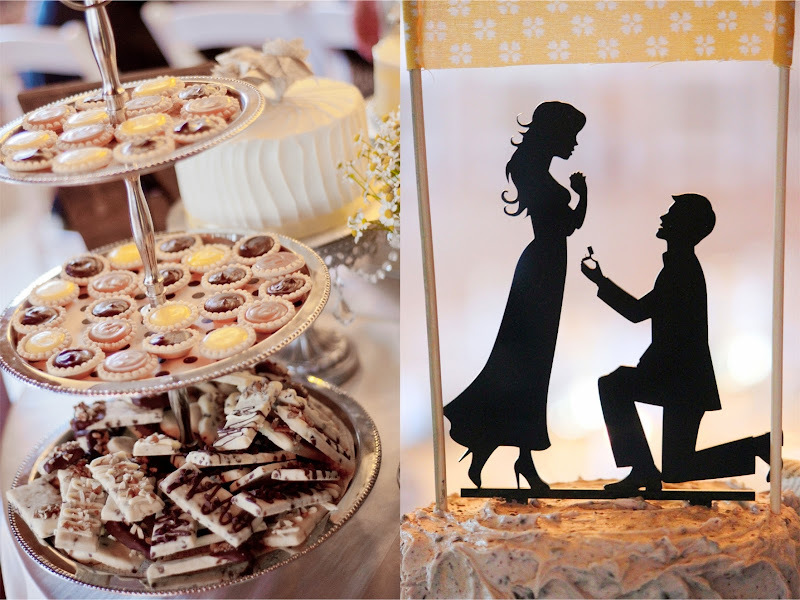 So I was able to bake and decorate the cookies weeks before the wedding, and kept them frozen until the day of when we packed up all the desserts to take to the venue. The shortbread tartlet shells were the only dessert item I didn't make from scratch, since they are available so conveniently, but I made each of the fillings: dark chocolate ganache, salted caramel sauce and lemon curd. 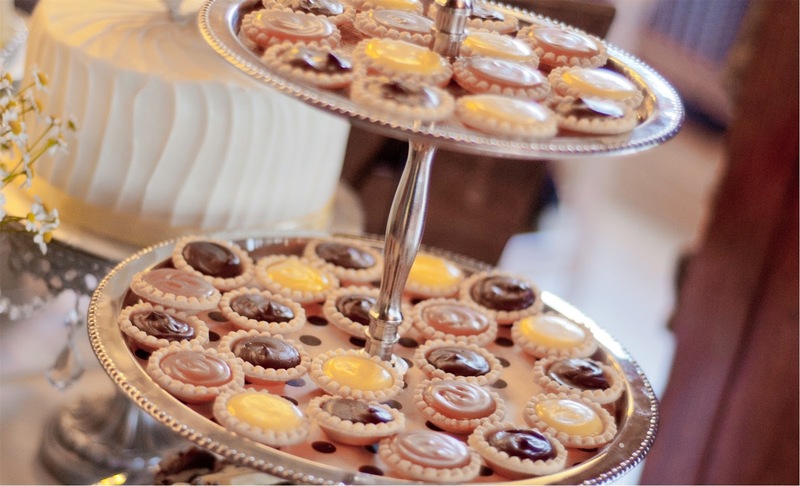 I filled the ganache tartlets the day I decorated the cakes since ganache sets up quickly and has to be piped soon after it's made, but for the caramel and lemon curd, I spooned those into piping bags and tied them up, so they could be freshly piped into the tartlets at the venue. But the cakes, though, I really didn't want to bake too far in advance, because I wanted them to be as fresh and moist as possible. 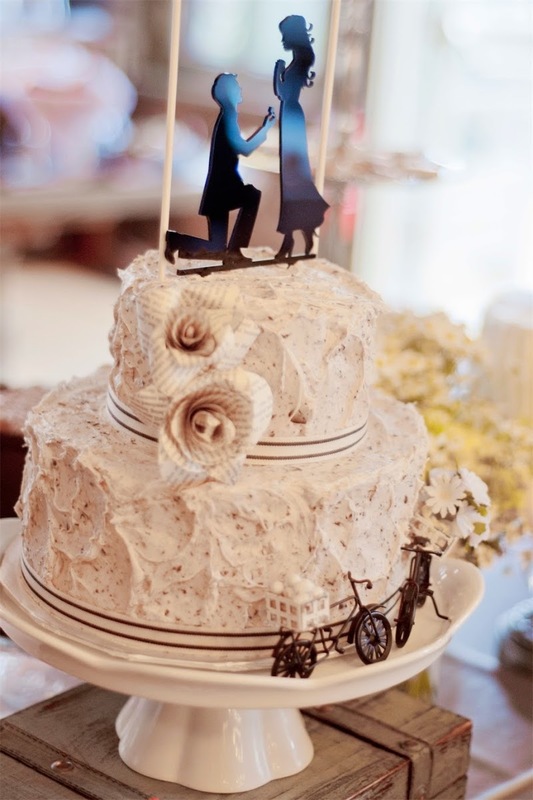 We were married on a Monday, so I baked the cakes five days ahead of time, on the Wednesday before. My mom tasted all the batter as she was working on my dress alterations, and as I baked and cooled each batch of cakes, I wrapped each layer tightly in plastic wrap, and then in foil, before labeling everything and setting them all carefully in the freezer. Our families started arriving into town on Saturday, but my day was filled with decorating the cakes. Saturday morning, I took all the cakes out of the freezer and whipped up bowl after bowl of buttercream. I have to thank my cool-headed nature and organizational skills, because amazingly, I didn't mess up a single cake, mix up a single ingredient, or forget anything I was supposed to do. I'm still not sure how that's possible, other than keeping very organized with many, many lists and spreadsheets and a carefully thought-out schedule for myself. We completely emptied the refrigerator to make room for the cakes, and all five, in their own separate boxes, fit perfectly. We had no food to eat, but damn, we had cake. What a relief when the cakes were done, and I was able to go down to the pool where our families were eating barbecue and swimming, rest my feet in the cool water and enjoy a little sun on my face. And then, suddenly, the next two days were gone and the morning of our wedding dawned bright and clear, not a drop of rain in sight, in spite of the daily thunderstorms we'd been experiencing all summer long. Jamie and I, along with my dad and brother, packed up two cars with all the decorations and the cakes. The cakes, cookies and tartlet fillings fit neatly into two large coolers which I lined with towels and plenty of ice packs. Since the cakes were well chilled from two days in the refrigerator, I was confident there was no chance of them sliding around during the drive to the venue. 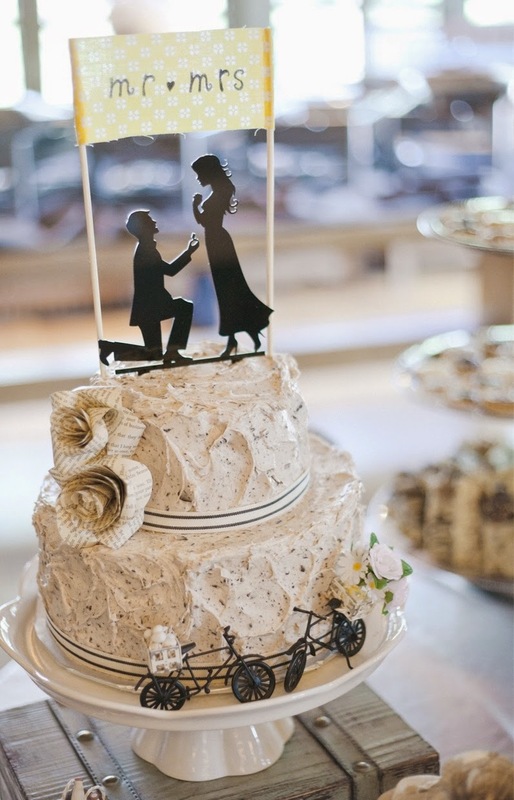 Once at the venue, I transferred them to the refrigerator in the kitchen there, and planned to take them out and set up the cake table around 4, which would give them 3-4 hours to warm up to the perfect room temperature for serving. Knowing that the cakes were safely transported and tucked away, my heart beat a little easier - at least for a few moments. After we got dressed in our separate dressing rooms, Jamie and I met each other outside at the little stone gazebo, and the rest of the day disappeared in a blur. Really, I have no idea how a day can go by so quickly, and I wish I could experience it all over again. The photos with our bridal party, seeing all the decorations I'd worked so hard on for a year come to life and look so beautiful, my heart pounding as I walked down the aisle to marry my love, trying so hard not to cry while saying our vows, the immense sense of happiness when we were married, the dinner that was so unbelievably delicious, the toasts, the cake cutting, the music, the dancing... It was the most amazing day, and I can't think of a thing that didn't go exactly as it was supposed to. Honestly, I was still a little anxious up until the moment I tasted the cakes - Jamie and I shared a sampling of all five - and with each bite of pure, sweet ecstasy, I wanted to cry with happiness. It thrilled me to have our caterers tell me they were the best wedding cakes they'd ever tasted, and even ask if I'd share the recipes with them. What a compliment! So, I'll wrap up this lengthy post by saying that I hope you try one, two or all of the recipes, and that you love them as much as our guests did. Oh, and sour cream in cake is always a good idea.